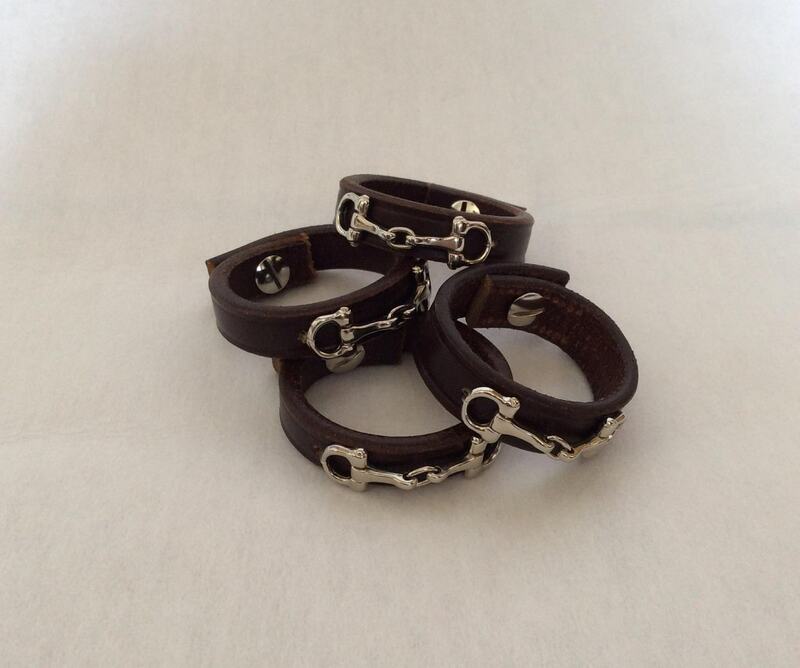 Set your table in style with these Equestrian horse bit napkin rings. 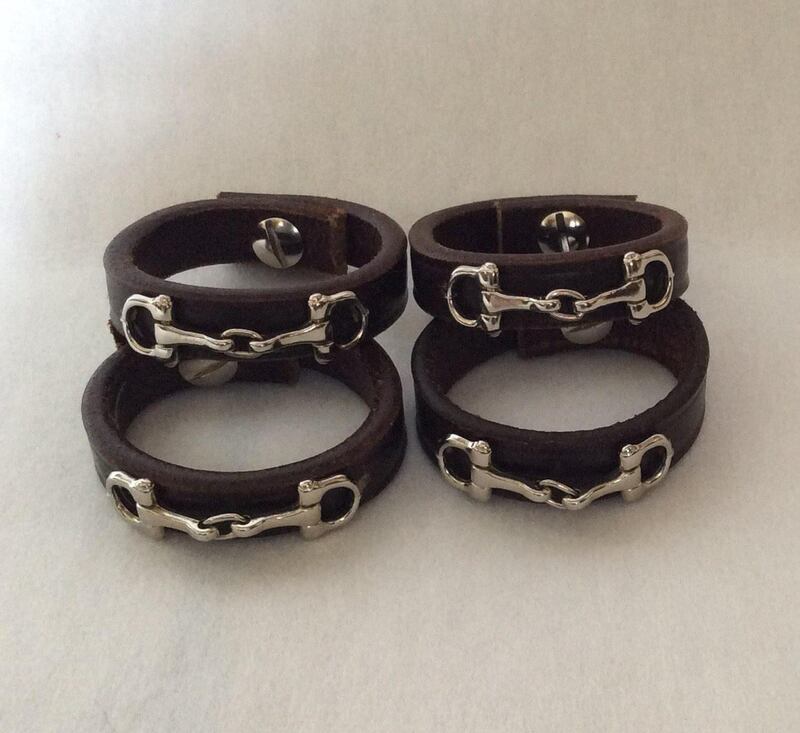 The napkin rings are made from horse bridle pieces and tiny silver bits. They are closed in the back with a stainless steel Chicago screw, ensuring they are secure. The bit is sewn on , not glued, keeping it neat and secure. 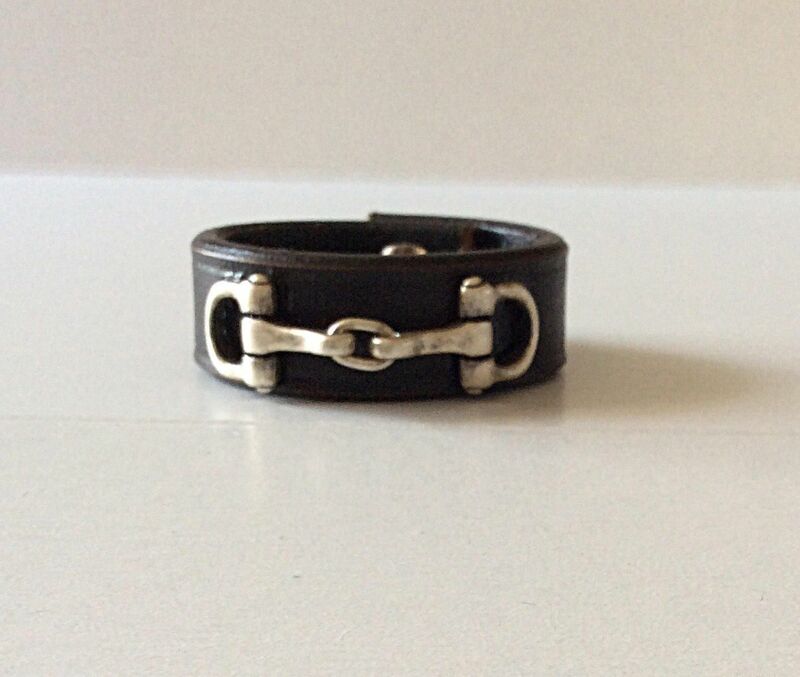 These napkin rings make great hostess gifts, wedding gifts or for your favorite equestrian(or maybe just for you!). They would also look great on your Derby party table. 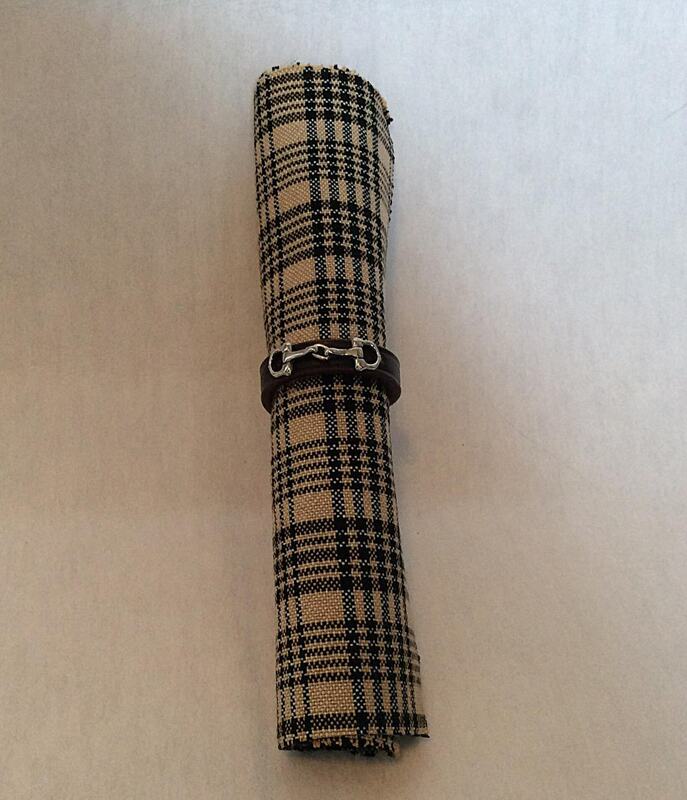 The napkin rings can be purchased in sets of 4 or more. a set of four is $45 or can be purchased individually for $13.00. For a set of eight or more please message me for a discounted price. Please allow 2 weeks for delivery as these are custom orders.